“ On June 16 1976, South African youth rose up against an inhumane system of government. 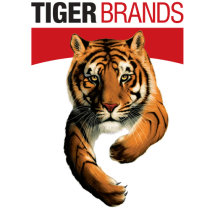 This year almost 22 years after South Africa attained its freedom and democracy, the youth of South Africa – armed with skills, knowledge and pure determination – will be called upon to face yet another challenge, rising up to shape a better future, said Tiger Brands, South Africa’s largest food producer. 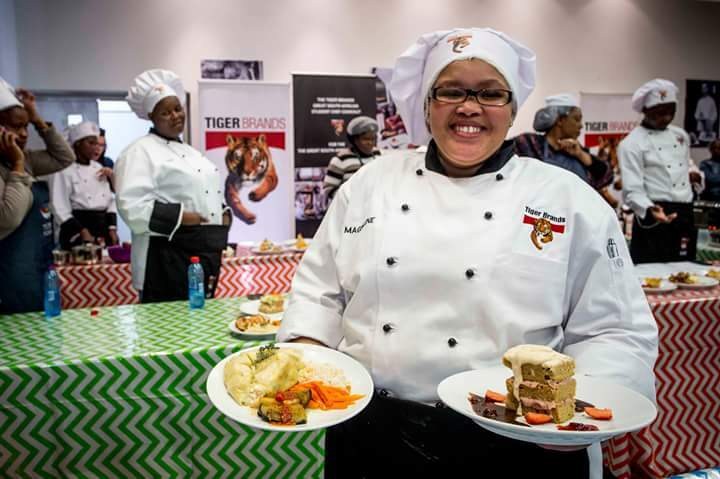 Tiger Brands scouted hospitality schools across the country to find student chefs that are true ambassadors of their province,” says Backman. “We wanted to find one student chef in each province that exemplified the spirit of youth through their passion for cooking, but we ended up with ten instead of the original nine!” she said. NCR TVET College was the only college where 2 Hospitality Students were chosen to participate in the Final Cookout Competition. (Phumza Holland and Magdalene Greeff – Level 4 Hospitality Learners). 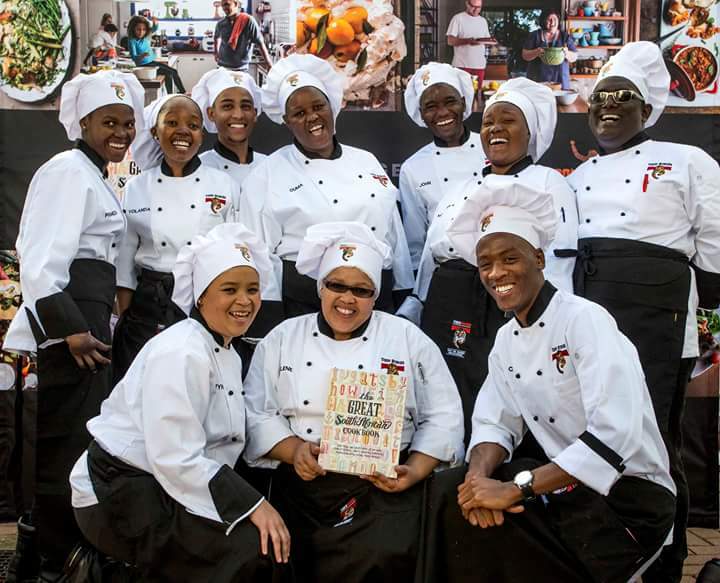 All 10 Hospitality learners that took part in this Chef Cookout competition on the 16’Th of June 2016, chosen recipes features in the FIRST “The Great South African Cookbook” that was released on the 18th July 2016 on the celebrating of Mandela day. Phumza Holland from NCR TVET College was the OVERALL WINNER. 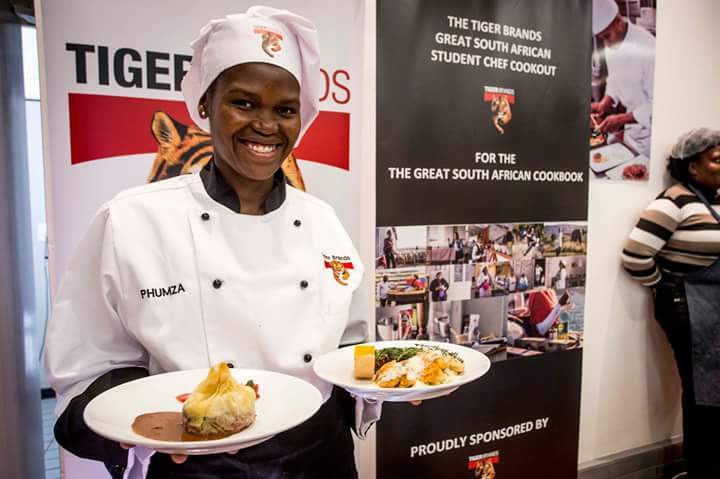 Phumza Holland will receive price money as well as a one year Internship with Tiger Brands ‘Executive Chef. She will be taught recipe development, will work on projects involving product development and attend a variety of 1 day cooking courses held by the South African Chefs Association. Each of the 10 finalists received a year of tuition fees and books paid for as well as prize money and 6 months’ worth of products for their school kitchen. 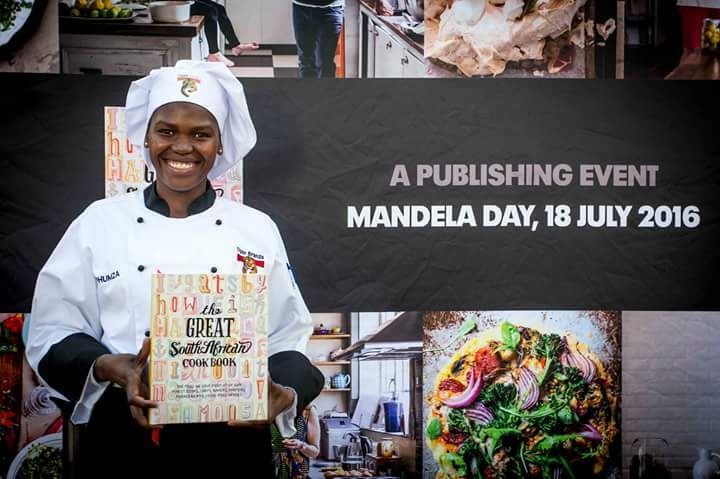 Tiger Brands is proud to partner with the Nelson Mandela Foundation as the principal sponsor of the first The Great South African Cookbook – a grand celebration of food we love from 67 of our finest cooks, chefs, bakers, farmers, foragers and local food heroes. 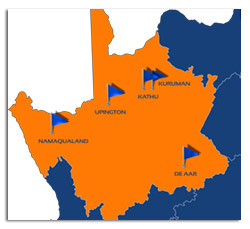 “We immediately resonated with the initiative because of its strategic fit to our primary citizenship pillar – which is food and nutrition security,” says Bridgitte Backman, Group Executive for Corporate Affairs and Sustainability. As a leading food manufacturer in South Africa, we acknowledge the responsibility and role we can play in driving food and nutrition security. It is for this reason that Tiger Brands is The Nelson Mandela Foundation’s anchor partner for issues pertaining to food and nutrition security. 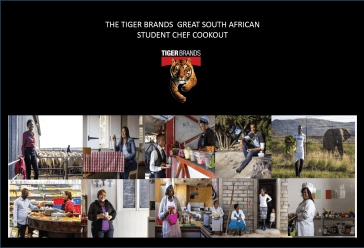 Tiger Brands became the principal sponsor of The Great South African Cookbook as this is one of the initiatives that promotes awareness around food and nutrition security in South Africa. All proceeds from the sale of the book, which is due to launch in July, go towards increasing support for marginalized communities with access to food. All royalties from the sales of the book will be given to the Nelson Mandela Foundation to develop and support community food and agricultural projects to aid in the upliftment of the impoverished through food sustainability and empowerment. The Nelson Mandela Foundation has partnered with Food & Trees for Africa, an organisation which advances and promotes climate change action, sustainable natural resource management, permaculture food security and organic farming. The book will be published in July for Mandela Day. 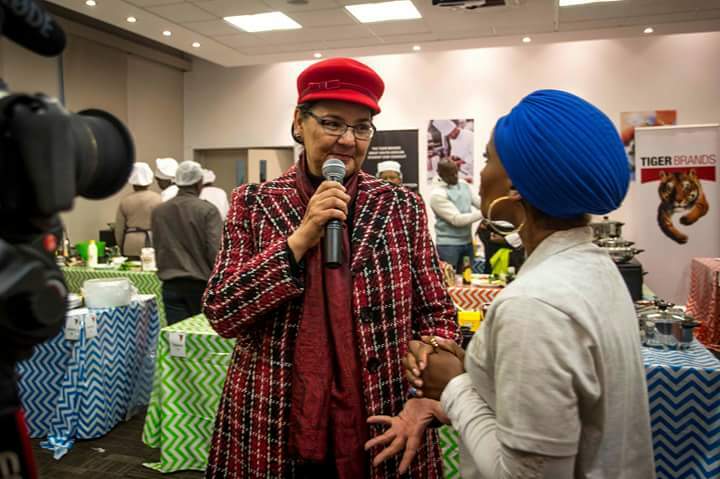 Bridgitte Backman, Group Executive for Corporate Affairs and Sustainability at Tiger Brands, answering questions during a Television recording of the Chef Cookout competition. 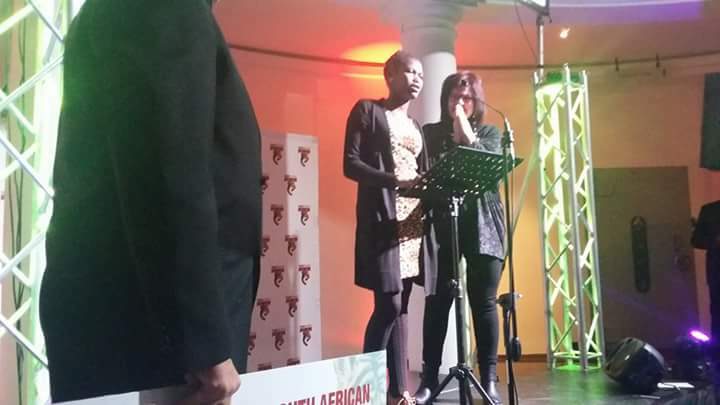 Phumza Holland giving her ‘Winning speech’ while her Hospitality lecturer Me Hilda Enslin is standing next to her.